IPSA series of isolated DC/DC converters family offers efficient DC power supply for high voltage isolation demanding applications such as high performance IGBT/MOSFET gate driver circuits. 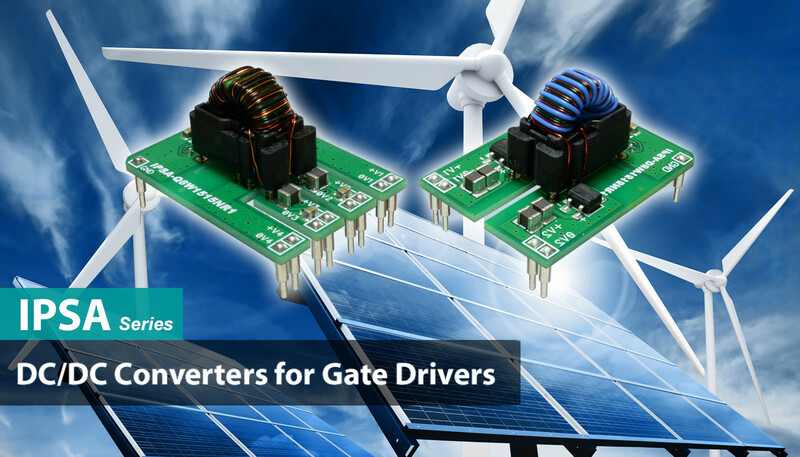 These converters were specifically designed and optimized for such applications where safety, long-life, high temperature operation and lowest cost is desired such as Solar Inverters. IPSA series enables development of lowest cost, high performance and high current driver circuits for IPM modules & discrete switches. * *Note 2: 500 Vac isolation between V2 & V3 in 4CH models.